Well, its been a LONG time since I have been in the blogging world. I blame it on work and lots of things happening. Unfortunately, I haven’t been able to take pictures of EVERYTHING we have been going, which makes me so sad. 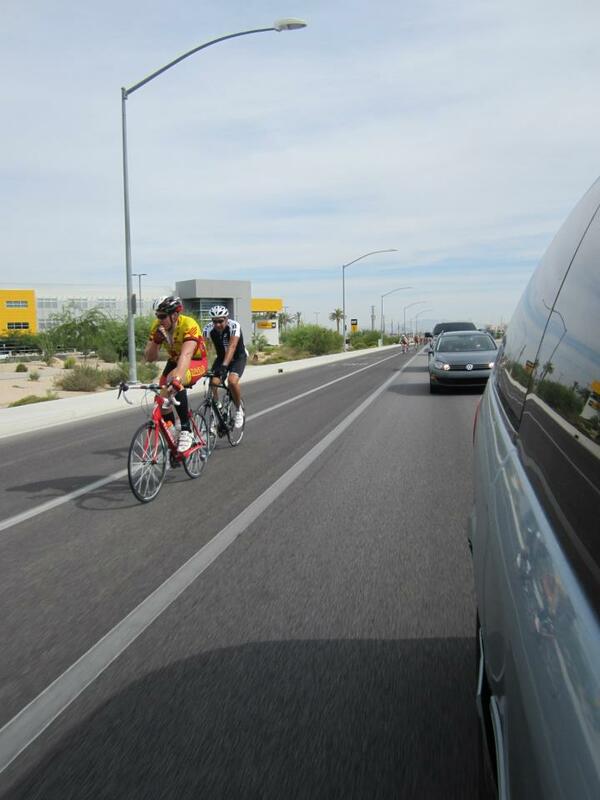 So Mike and I took off for our pilgrimage to Las Vegas for his third Viva Bike Vegas race back in the middle of September. It’s always a good time because I get to see family in the process and we get a good bike race in the process. This year it went 122 miles, which is the longest race Mike has ever done. Mike was so funny because he saw me taking this picture and he hurried to the front to get a shot. All for the sake of an awesome photo. This was pretty much our view the whole day…driving around in a van and getting out of window shots! 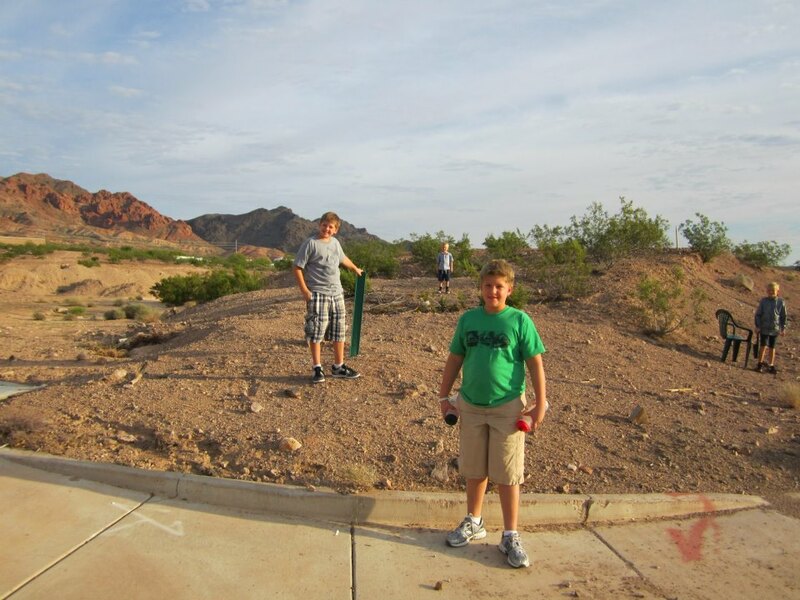 The best view was when we went through Lake Las Vegas to Lake Mead. It was sunrise and so beautiful! I was making fun of my dad because he has this American flag all day. I was embarrassed, but Mike was so proud of him and how he supported him throughout the race! My dad kept stopping traffic to make sure Mike was getting his water bottles. It was pretty cool because my nephews and my brother came out to support him. We all got fired up to go biking when we come down for Christmas. These guys were awesome helpers! 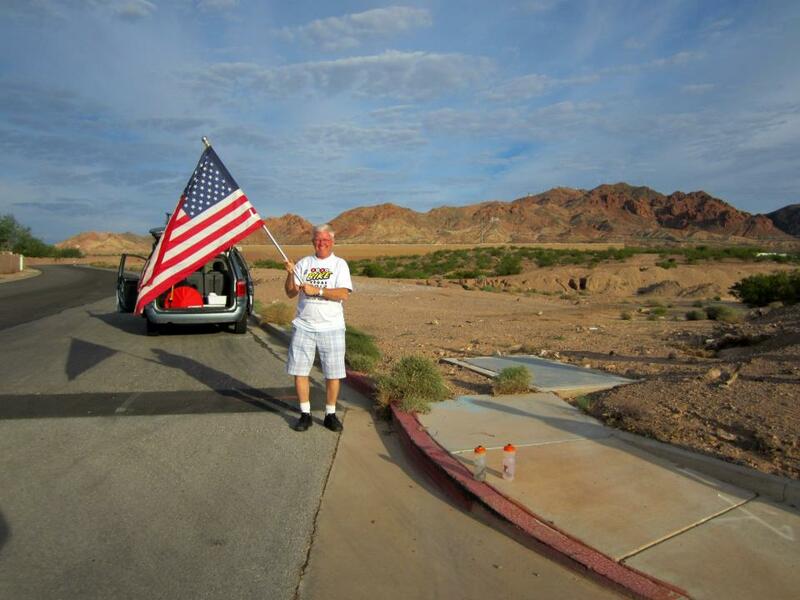 Overall, it was a great success, Even tough Mike busted his bike at Lake Mead and we had to rent him a bike, he still was able to finish the whole thing thanks to the help of the family. Here’s to hoping that next year goes a little smoother! 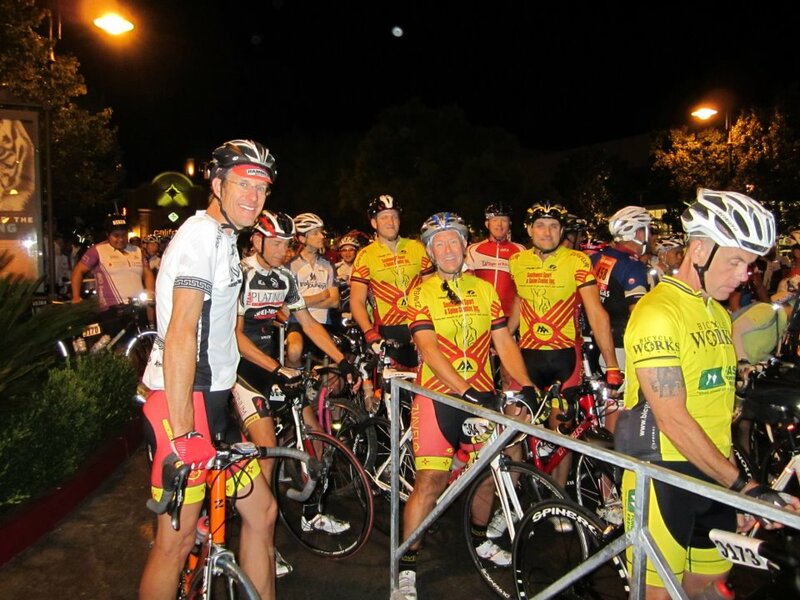 This entry was posted in 2012 Races, Mountain and Road Biking, Travel by thefasteryoupedal. Bookmark the permalink.